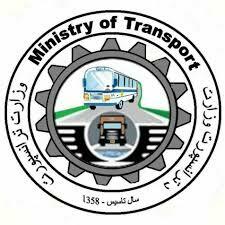 KABUL: The ministry of transport has assured that the country was constantly developing trade and transit routes in order to strengthen economy and encourage investment in the country. The ministry’s spokesman, Hekmatullah Qwanj told The Kabul Times that in the past, Afghanistan had trade link with one or two countries, but in addition to Iran and Pakistan, the relation was expanded to more countries, exchanging exports and imports with more countries such as Turkmenistan, Tajikistan, Uzbekistan, Kyrgyzstan, Azerbaijan and other neighboring countries sharing borders with Afghanistan norther regions. “After opening the ground corridors, the country’s trade has developed,” the spokesman said adding Afghanistan has turned a trade junction in Asia. According to Qwanj, transportation of goods from the neighboring countries, Turkey even from the European countries through the Azure road to Afghanistan and the south Asian countries have been one of the biggest achievements of the government in the transit term. He said any measure leading to the strength of economic growth, can lay positive impact on security in Afghanistan, which he said a land locked country with harsh security situation. Experts also believed that if the government removes strict laws on the Afghan traders, they can use effectively the ground routes for the transportation of their goods to other countries. Shir Ali Tazri said the recently built ground and air corridors have eye-catchingly facilitated exports and imports from Afghanistan to other countries and the government should to more in this field. Another economic expert, Sayedurrahman Emran confirmed the most economic plan, but said exports and imports between Afghanistan and its neighboring countries, was not enough and that Afghanistan should open more trades with many more nations. According to him, illegal revenue collection in the country’s customhouses and complexity of the laws on trade, have been among the biggest problems, requiring the government serious attention. The country’s president, Mohammad Ashraf Ghani has earlier said he was committed to turn Afghanistan as an economic crossroad of the central and sought Asian countries.